Wells International School employs a full-time certified nurse on campus, as well as a second certified nurse who works with the primary school teachers. Two gender-separate rooms are designated for students and are equipped with basic medical emergency supplies in the event of accidents. All Wells students receive basic insurance coverage provided by the school, and may receive additional financial assistance should an accident occur as a result of negligence. Any incidents that occur on school grounds are logged by the witnessing staff members, and the school provides immediate medical assistance when required. In any critical situations, students are transported to a nearby hospital. Like most other schools and organizations, Wells must often contend with illnesses that may spread through the student population. 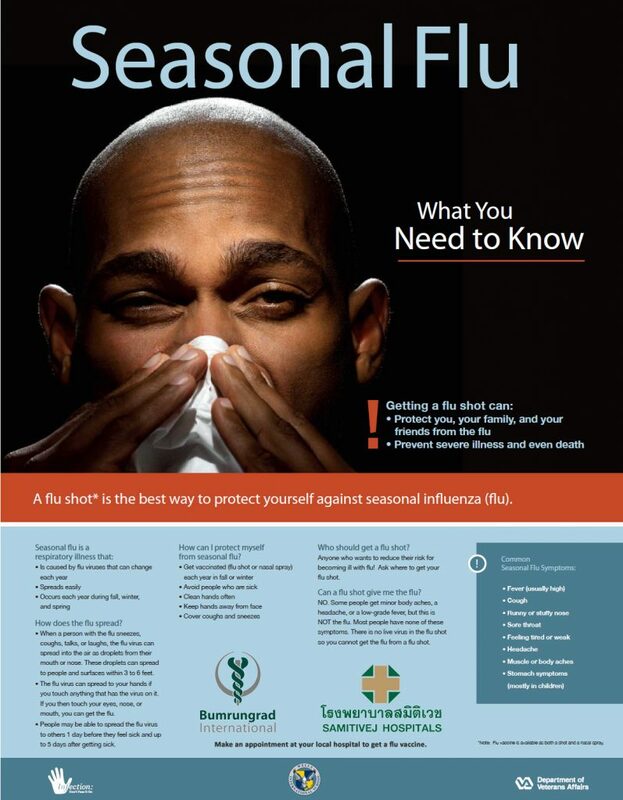 During flu season, the school takes several precautions to minimize the possibility of the virus being transferred, including taking students’ temperatures as they enter the campus, encouraging healthy habits and proper hygiene, isolating students who display symptoms, sanitizing classrooms and facilities on a daily basis, and destroying mosquito populations.